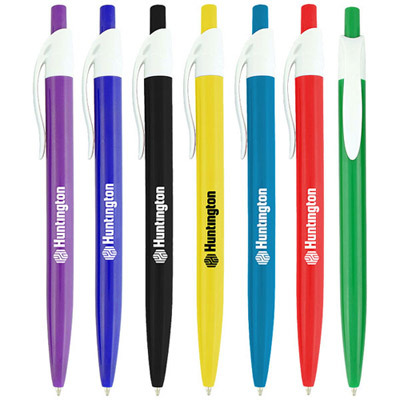 Promotional Javalina Platinum Ballpoint Pen: Give your brand the competitive edge in the market! 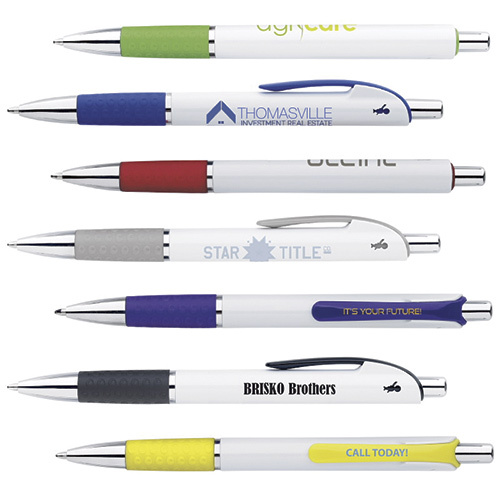 The promotional Javalina Platinum Pen will get people talking about your brand! 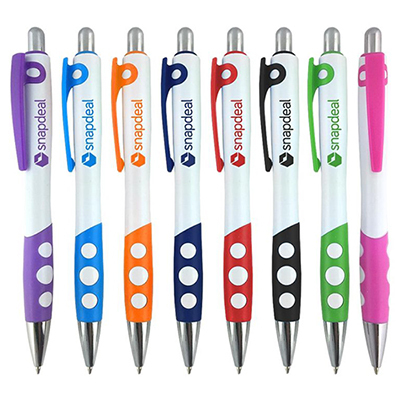 This ultrasmooth writing pen will ensure your logo is seen each time recipients use it to write down something. 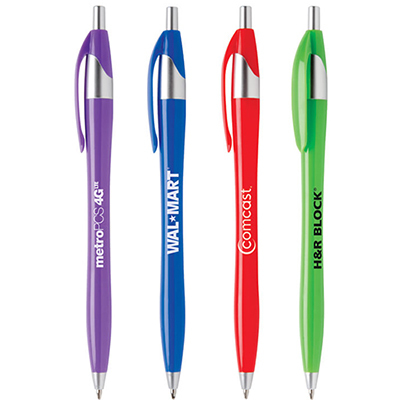 This plastic click-action ballpoint is available in bright glossy colors and has a shining platinum trim and a unique shape that fits comfortably in the hand. Order now! 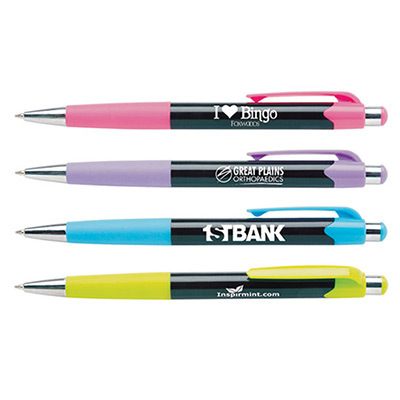 Generate interest in your brand!